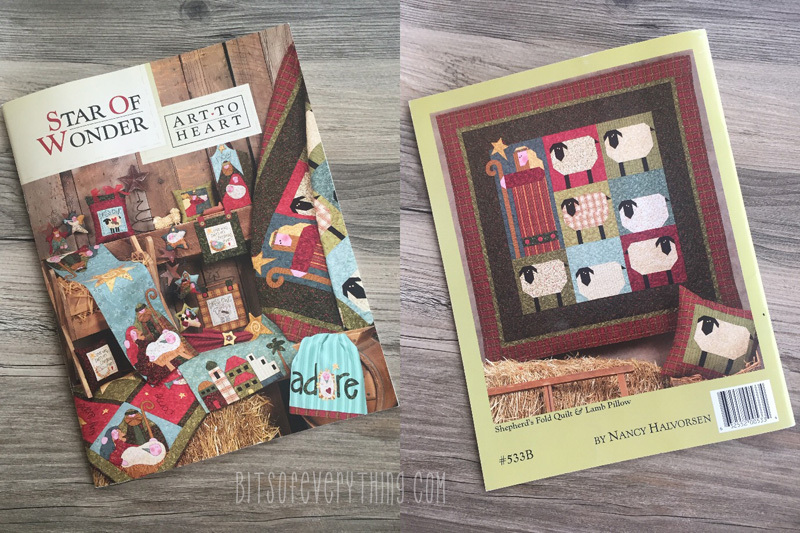 One of my very favorite projects I made in 2015 didn’t even make it on the blog! I couldn’t put it off any longer. 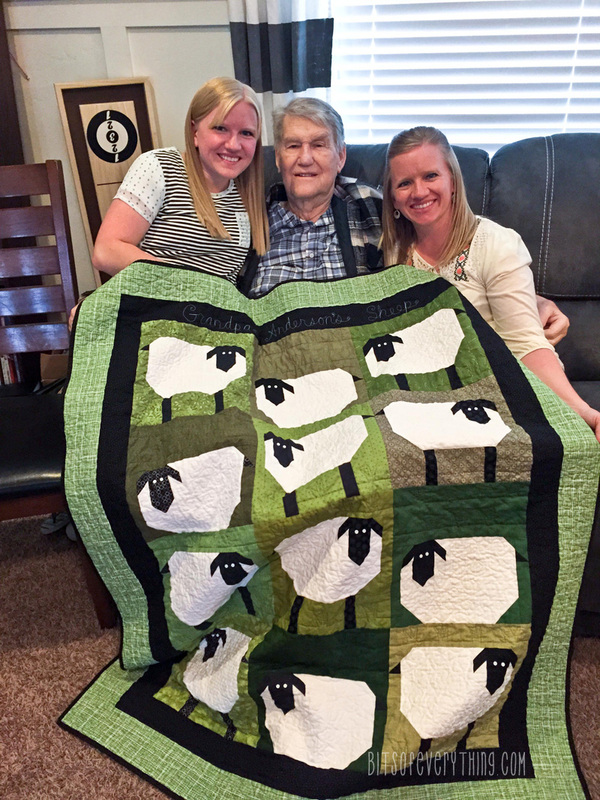 You have to see this darling sheep quilt I made with my sister for my Grandpa. We bought a pattern, but then made it our own. My favorite memories of Grandpa’s house were always petting, feeding, and watching the sheep. We especially loved feeding the baby lambs with bottles. Well, last year my Grandpa fell and broke his leg at the age of 91. Ever since then, he hasn’t been able to go back to live at his house. 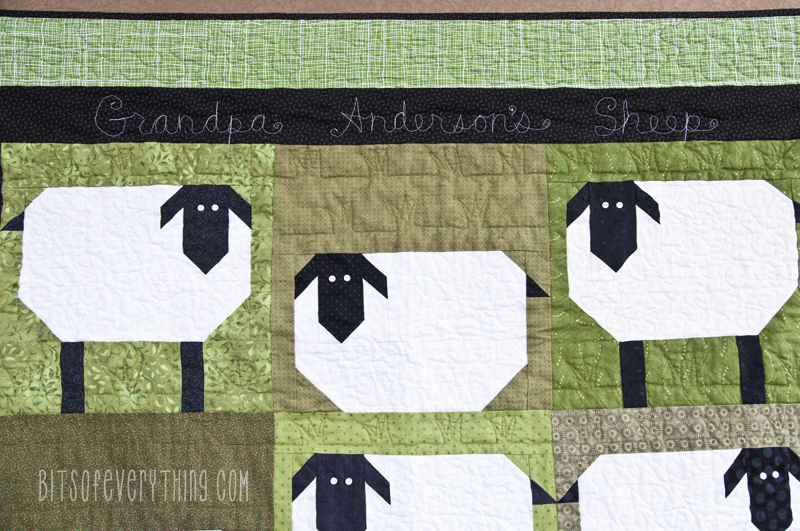 I thought he would miss seeing his sheep every day, so I made this quilt of sheep to keep him company. I used the pattern from the book by Art to Heart Book, Star of Wonder . The quilt is called Shepherd’s Fold Quilt. Yes, it’s a Christmas pattern. I love to take a quilt pattern and make it my own. 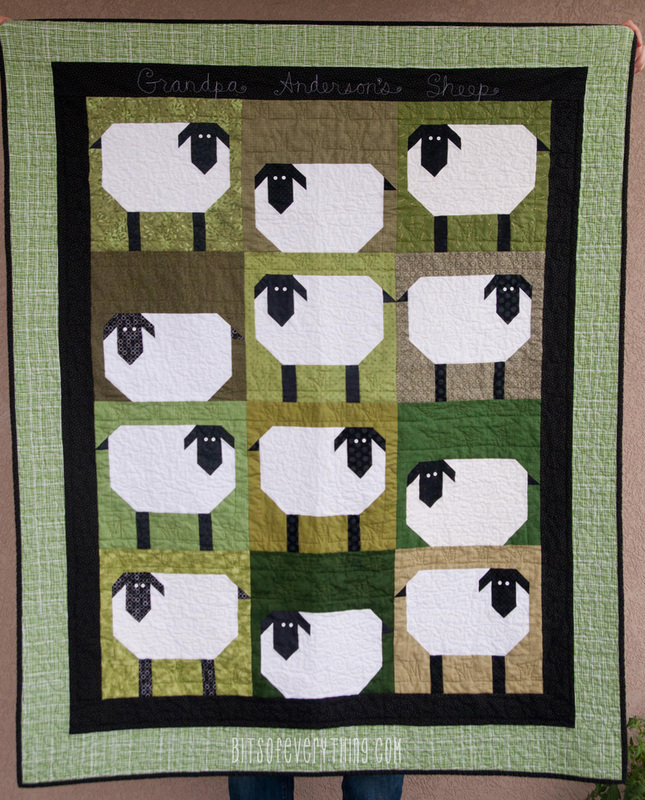 I saw a different quilt when I saw this pattern for the sheep. My very favorite thing about this quilt is the quilting. It made it even more personalized. 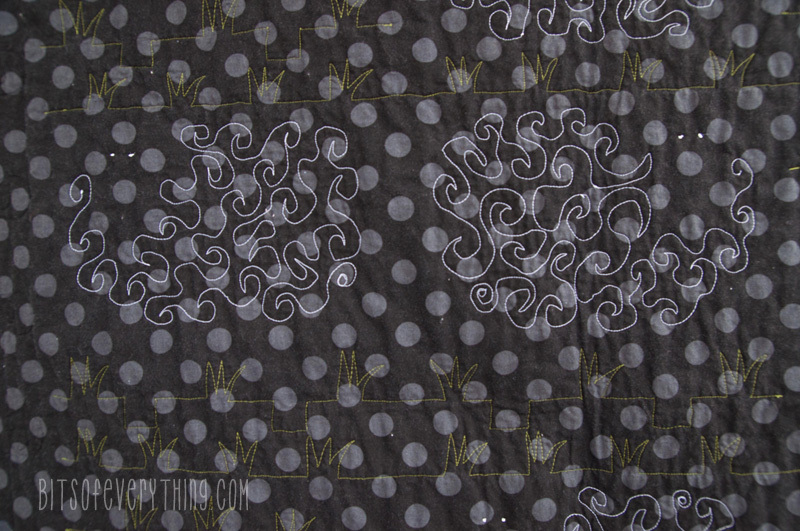 I did all the machine quilting on my standard sewing machine. Nothing fancy. This was my first time attempting words in my quilting and I just love it! Here’s a look at the back. I used white thread on the sheep and green thread on the grass. Seeing the quilting stand out on the back is awesome! The eyes are buttons that I sewed on at the very end. Perfect! Good news is…. Grandpa loves it! Everyone that visits him asks about it. What a fun memory quilt. Aww what a great quilt and story with it!